Exhibits Information Exhibitor List Sponsors Are you an exhibitor? What Makes Tow Expo Great? The Gaylord Texan Resort, Grapevine, TX. Tow Expo is an industry-wide event where towing and recovery professionals get to meet and talk with major manufacturers of wreckers, carriers, trailers, truck chassis and all the tools and equipment towers need to be successful. Attendees will be able to meet with major motor club representatives, dispatch systems providers, GPS companies and equipment finance sources. They will also be able to see the latest in safety apparel and equipment. 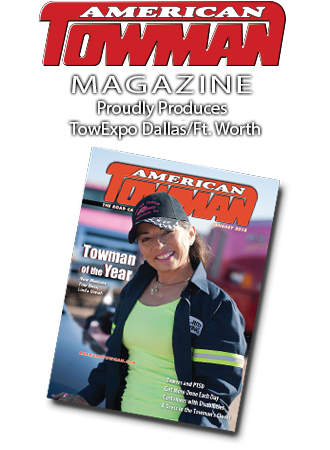 American Towman Conferences feature towing and recovery experts from a wide range of industry specialties with a wealth of knowledge and experience. From business operations and staff training to working with your local police and municipalities, digital marketing and better profit margins, there’s something to be gained for everyone in these conferences. When the workday is done, there's plenty of relaxation and fun to be had. Games & Grub features casino games and a delicious meal. The Big Smoke is great way to catch up with friends and kick back with a fine cigar and a drink. There's something for everyone at the towing industry's favorite summer break at Tow Expo. American Towman Conferences provide you with the most essential information you and your crew need to know to work better, safer and more profitably. Our instructors are experienced professionals with a passion for teaching other business owners and operators to be the best they can be. Your Intel Passport gets you access to all the seminars you are able to attend. $125 through advance registration, $195 on-site. Conference List and schedule available soon. Designed to make running your company that much smoother. Still an ongoing issue, learn what insurers are looking for that will enable you to keep your costs low. Keeping you up-to-date on the latest strategies that will keep your company ahead of the pack. The Saturday morning Conference features a seminar discussing strategy for increasing your town's regulated rates. Having statistics to back up one's case for a rate increase can mean all the difference. The Conference will also cover ways to cultivate a strong relationship with the town and the police department. Attendees will be given a strategy paper and template for a proposal to your town. With the 86th Legislation Session approaching upon us it is important to take part in this year's Legislative Conference. This is the time to let your Association leaders know what legislative issues are important to your business. Get involved so that we can keep our industry strong! Come learn what critical issues we face this session and what you can do to help fight for PRO-INDUSTRY bills. Don't think your voice at the capitol doesn't matter. When we visit the capitol, the representatives TAKE NOTICE. It is critical that we make our voice heard. PLEASE DON'T sit back and expect others to do the work. Don't miss this opportunity to be heard. Your voice matters! •Allstate Roadside Services Luxury Vehicle Education is a free demonstration and discussion about the best way to tow specific luxury vehicles to avoid costly damage. If you are renewing your TDLR CT or PP license, or if you are renewing your 2nd+ year IM license, you will need to take this 4-Hour Continuing Education (CE) course. Must take Certification Testing BEFORE being eligible for an IM or PP license. Receive 12 hours of training with WreckMaster instructors (open to all towers): 8 hours classroom, 4 hours hands-on with equipment. Towers work hard and play hard. Tow Expo offers plenty of time to have fun after a day of working. Check out The Big Smoke cigar smoker on Thursday, 8/15 at 9pm and Games & Grub on Friday, 8/16 at 5pm-8pm. Bite & A Brew – Enjoy great Texas barbeque and a cold beer on Saturday, 8/17 from 3pm – 5pm. The Big Smoke – Relax with a free cigar at the TAP-IN Grill & Pub in downtown Grapevine. Free shuttle provided. Event sponsored by AutoReturn. Kids Korral – Tow Expo is a family-friendly event. The Kids Korral area sponsored by GEICO is set up on the show floor to accommodate all the children who want to color, get their very own balloon animal "pet", or have their face painted. It's a great spot for the kids to have fun… and the grown-ups, too! Friday, 8/16 and Saturday, 8/17; 11am–5pm. Watch and learn as Wrecker Manufacturers educate and entertain us with live recovery demos inside the air conditioned exhibit hall. Dates, Times, and supporting Companies available soon. Join us for a smoke in downtown Grapevine, TX at the Tap-In Grill & Pub just a stone's throw from the Gaylord Resort. Shuttle buses will be provided between the Gaylord Texan Resort and the Tap-In, to and from. Allstate Roadside Services will be conducting Education classes on the towing methods for various makes and models of luxury and premium vehicles. Participants will have the opportunity to see how to safely secure and tow a variety of luxury and premium vehicles during exposition hours. In addition to being a 32-year veteran tower and eight time winner of the American Wrecker Pageant at ATExpo in Baltimore, Paul Stephens began his career in industry training with Jerr-Dan Corp. in 1993. Recognized as an international industry leader/trainer for luxury vehicles, Paul currently works with towing equipment manufacturers on developing improvements to the equipment so the tower's job can be easier and more efficient. Paul works with municipalities to formulate formal training programs, and has taught in every province of Canada and every state in the US. Tow Expo is a family affair. The Kids Korral area sponsored by GEICO is set up on the show floor to accommodate all the children who want to color, get their very own balloon animal "pet", or have their faces painted. It's a great spot for the kids to have fun… and the grown-ups, too! On the show floor during exhibit hours. Sign up now to join in all of the fun! Towers take their chances while playing for a cash pot in the annual Ten-Gallon Casino Night. "Gamblers" from all over the Southwest flock to this event. Get yer loaded dice and marked poker cards ready! Just kidding, pardner! But seriously, this event is not to be missed! Yee-haw! The USA Wrecker Pageant is a true piece of Americana, with both themed and traditional graphic schemes. These are some of the most creative and beautiful trucks you’ll see anywhere. Attendees get to vote for their choice for Best of Show. A towing company may enter one truck per class and up to four trucks. TowExpo Dallas Welcomes Families! And the Gaylord Texan Resort and Convention Center is a perfect place for a Summer Break! TowExpo guests have free access to SummerFest, the hotel’s beautiful four-and-a-half acres of indoor gardens under glass, Peter Pan-themed décor, escape rooms, canvas painting, scavenger hunts, dance parties, and junior chefs camps – just to name a few. And outdoors, guests can make a splash at Paradise Springs, an exciting, 10-acre outdoor waterpark featuring four winding waterslides and a relaxing lazy river! Make a splash! • Glade Parks NEW lots of Shopping Center and DAVE and BUSTERS, Movie Theater, Nail Salons 15 minutes. • Historic Downtown Shopping and Restaurants 16 minutes. Click the red submenu to find out more about the Gaylord Texan Resort and surrounding environs. Some rooms feature atrium views and extra space to relax on private balconies. Great Wold Lodge rooms still available. Hotel selection is available after registration. From $179/night, subject to applicable state and local taxes. Daily resort fee waived when reserved using code in registration. Complimentary on-site parking, Airport shuttle service, on request. Nationally renowned as a premiere Spa for exclusive luxurious treatments, Relâche Spa & Salon offers soothing massages, rejuvenating facials, relaxing body treatments and invigorating fitness options. Relâche is the perfect place to soothe the body and soul. An exclusive amenity for our resort guests, thrill your family at Paradise Springs! Open Memorial Day through Labor Day, Gaylord Texan's western themed, 10-acre resort pool and lazy river complex features entertaining water features, tasty cuisine, sunbathing decks and more. There are plenty of dining options within the resort. The best steakhouse restaurant in Grapevine, savor the juiciest premium Black Angus Beef seared to perfection, sample artisanal cheeses from around the world, and indulge in our Texas inspired wine cellar. For a fresh taste of Coastal Italian, in our festive courtyard setting. Celebrate the evening with a selection of unique Italian wines, and traditional Italian cuisine and seafood made from recipes all our own. They say everything is bigger in Texas, which could explain the 52-foot TV screen at Texan Station. Our full-service dining room offers a wide selection of brews and cocktails along with the best bar food in Texas. Riverwalk Cantina offers delicious Tex-Mex and traditional Mexican cuisine in an open-air café setting that replicates the famed San Antonio River Walk. A welcome sight for weary travelers, the Silver Bar is reminiscent of a saloon from the Old West--exemplified by the silver-plated edge that trims the entire bar. But the feel of a living-room setting gives the space an overall sense of elegance. Enjoy an eye-opening shot of espresso, hot breakfast, gourmet salads, freshly prepared sandwiches, snacks and more! From our premium coffee to a first-rate selection of beer and wine, Mission Plaza Marketplace is the perfect way to begin or end your day. Coffee house serving Starbucks coffee and fresh breakfast and lunch items. Experience the wine bar at Old Hickory Steakhouse, featuring the new Enomatic Wine Tasting System. Our special system allows guests to sample a selection of fine wines from all over the world. In fact, only 5 minutes from the Gaylord Convention Center and Resort is historic downtown Grapevine, with attractions that include quaint little shops, plenty of restaurants, and local history. Anderson said, "In downtown there are a lot of nice restaurants. You are not shopping at Macy's. It's very mom and pop and the wives like that. They even have a couple of local craft breweries." While in town, you may consider taking a wine tour, as you discover the name "Grapevine" springs from the dozen or so wineries that are in the area. A 4-hour tour will take you to 3 wineries and include lunch or dinner options. For local history, Grapevine's railroad legacy is on display, a 1,000 square-foot working model railroad that will "wow young minds and curious older minds alike," showcasing the impact the railroad has had on the development of the city while giving kids hands on activities. 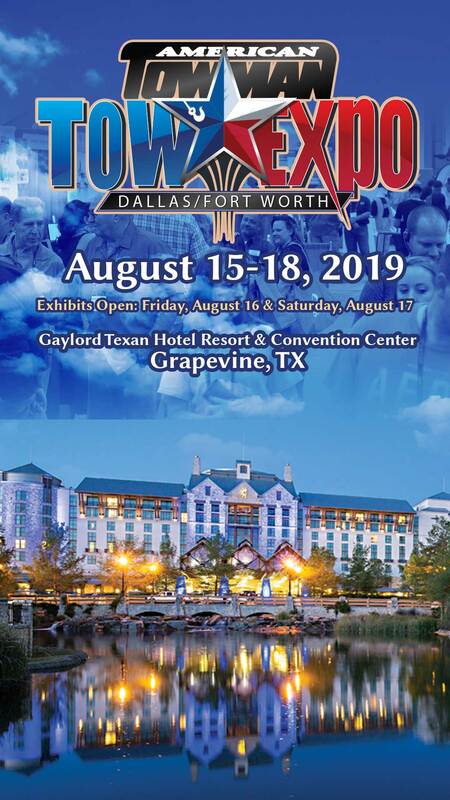 The city of Grapevine has Fireworks every Friday Night and from the Gaylord Resort you can go onto their upper deck parking lot to watch them. Other favorite downtown attractions include the Farmer's Market, Botanical Gardens and just further out, The Sea Life Aquarium at Great Mills Mall. The Glass Cactus Nightclub comes alive when the Texas sun sets. Dance to nightly live music in Grapevine performed by some of the hottest national and local acts. Enjoy creative cocktails on our outdoor deck, sample succulent club cuisine and groove to the sounds of great DJs on a 2,000-square-foot dance floor bathed in a million dollars of lights. If you decide to go further out, there is so much more to explore, including the towns of South Lake and Roanoke. Chesney said, "You can go 15 minutes and be in the little town of Roanoke, where they are building a Piedmont Hotel. It’s a real country place." Dead center between Grapevine are the cities of Ft. Worth and Dallas, only 15 miles in either direction. At this point in your travels, if you are without a car, you might consider using UBER to whisk you around. Chesney said, "It's fast and cheap plus they know their way around. There is a lot of road construction and toll ways you would have to otherwise navigate." Going to Ft. Worth, one highly regarded destination is the Ft. Worth Stockyards, which is approximately a 35 minute car ride from the Gaylord Resort. Better yet, take the Grapevine Vintage Railroad, which travels along the historic Cotton Belt Route from Grapevine to the Stockyards. Anderson said, "At the Stockyards, every day they run the bulls, rounding them up around 3 o'clock," while Chesney added, "There's steak houses, museums, and dancing. It's a real country experience." Whether you wear your country boots and cowboy hat or come in plain clothes to the Lone Star State, whatever you decide to do during your summer break at Tow Expo – Dallas/Ft.Worth, know that there are many options for all of your tastes.